December is a busy old month for bloggers and vloggers. Gone is any kind of schedule and instead your schedule consists of EVERY SINGLE DAY. And if you weren't sure, it is quite a lot of work. Hence my week of vlogmas isn't even up yet (it will be soon I promise)! I thought I'd fill you in on who I'm first to click on in my Youtube sub box, and whose tweets I'm anxiously awaiting to declare their latest blogmas post is out. All hail the queen of vlogmas. I am 22 and I will never be embarrassed to say, I am slightly in love with Zoe Sugg. As a business woman, as a vlogger, she is an online queen and to be honest, I fully appreciate why. 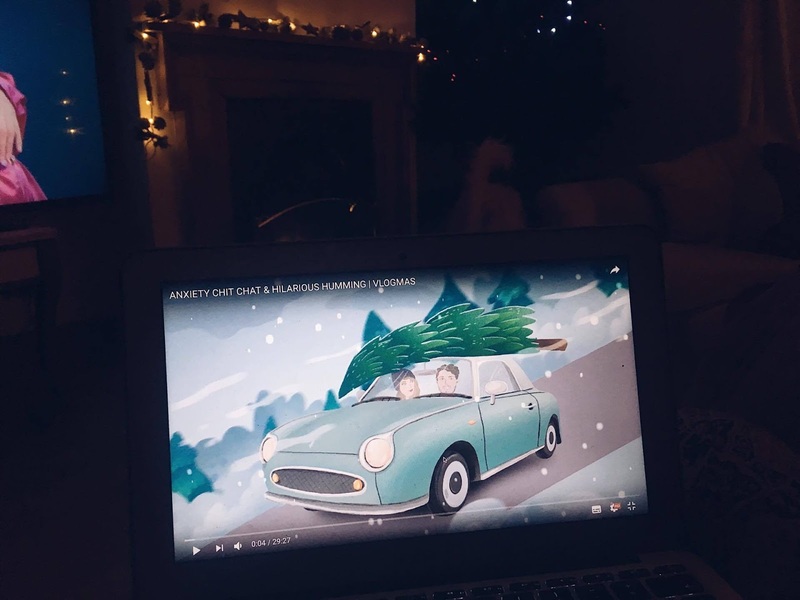 Vlogmas is where she really shines, and every single day I am so excited to finish work and catch up with her daily vlogs, they're beautifully shot and so festive, vlogmas with Zoe is pretty much a part of my December routine now. Niomi makes me feel so good about myself, she's such a ray of light. Her vlogmas has proven no different to her usual light content and it's fab to snuggle down with. Alisha is the only American Youtuber I watch so consistently and is also the only American vlogmass-er (is that a word), which gives me such an insight into the over the pond attitude to the festive season! Her vlogs are snappy and bright and I highly recommend heading over to her channel. Author and mother, Giovanna Fletcher is the ultimate feel good vlogger. Married to Tom Fletcher and the subject of the wedding speech to end all wedding speeches, Giovanna's life on Youtube makes my heart warm. Two adorable children, and absolute couple goals parents, there's literally nothing to dislike. Amy's blogmas is fab if you're into beauty and fashion. Delivering gift guides and Christmas makeup, it's such a beautiful blog and I officially knew it would be on this list when Amy publishes a day at Blenheim Palace, one of my favourite places in the world. The perfect blog to read through for hours. Jess writes such a refreshing blog with so much innovation in her posts! From silly winter sweaters (a personal fave) to some of her older posts, Jess of Earth is so a chilled, chatty blog, I've been loving keeping up to date with her blogmases! If you know me, and you know Harry Potter, you'll understand immediately what first drew my attention to Victoria's blog. Her content is amazing and the type which makes you want to up your own game and proving you don't need to be a big time blogger to create great content. The instructions on how to make a Mickey Mouse wreath is one of my favourite blogmas's EVER. To be completely honest, a huge part in the appeal I find in reading CaityLoux is how much Caitlyn reminds me of myself and my own style of blogging. Caitlyn doesn't fit into any category, from talking about Orgasms to being 18 and Sober, her blogs are raw and honest and a huge breath of fresh air, and her blogmas follows suit too. I hope this gives you some evening inspiration! My taste is so hugely varied, I also read a lot of blogs throughout December which don't post blogmas, but I wanted to give a huge shout out to everyone who does because it is such hard work. Do you watch/read anyone not on this list who you want to recommend?? I'm always on the look out for more material!